Boy band members and a Strictly Come Dancing star are among the cast bringing The Rocky Horror Show to Birmingham. The musical will be at The Alexandra theatre from 13th to 25th May 2019. 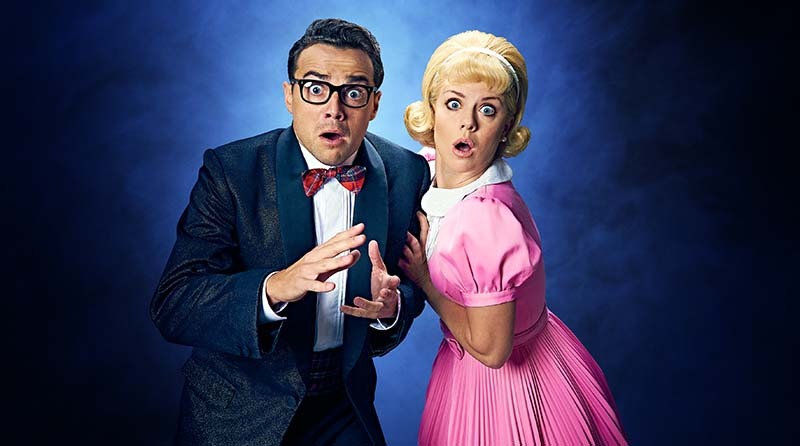 The show has developed a cult following since it opened in London in 1973 and the latest adaption will feature Blue singer Duncan James, former Strictly pro Joanne Clifton and A1 member Ben Adams. Joanne said: “I’ve always loved Rocky Horror – I learnt the Time Warp in my dance classes in Grimsby when I was four years old. They will also be joined on stage by Kristian Lavercombe, who has already clocked up more than 1,300 performances in the show around the world. The show will feature classic songs such as Sweet Transvestite, Science Fiction/Double Feature, Dammit Janet and The Time-Warp. Ben added: “Performing in Rocky Horror is a dream come true.